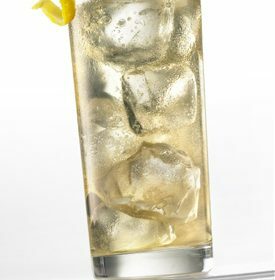 Stir all ingredients in a tall, ice-filled Collins glass, mixing completely. Garnish with a lemon twist. Click here to read more about St-Germain, a new artisanal liqueur whose delicate but complex flavors capture the essence of the season.